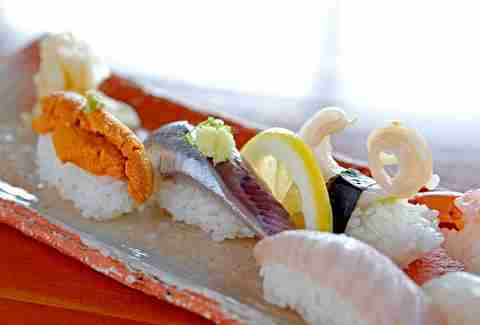 You'll be out $95 for the omakase meal at Kashiba's Pike Place sushi bar. And it will be worth every last penny you spend on the fresh tuna from the South Pacific or mackerel from Norway, as well as the local shellfish bounty. Sit in front of the famed Shiro -- or one of his worthy lieutenants -- and put yourself in their hands as they bring you the best of the ocean in course after course of nigiri. As the first sushi restaurant in the country to convert to entirely sustainable fish, Hajime Soto's West Seattle spot is no stranger to breaking new ground -- and that includes getting creative with its fish. At the sushi bar, ask for what's fresh and unusual, and you'll be rewarded with scallop coral, catfish dressed as eel, and uni on a snowshoe (tempura-fried shiso leaf). 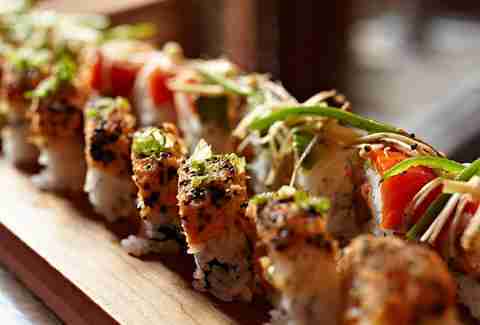 Somewhere between the flashy new guys and the elder statesman of Seattle sushi, fits this classic (and classy) joint. 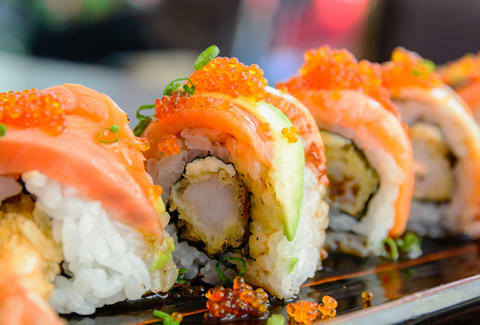 There’s everything a sushi lover wants on the menu, not too many bells and whistles, and of course, flawlessly prepared fish. Restaurants don't stick around for more than 100 years just because they can. They last a century because they serve giant blankets of fresh fish for absurdly affordable prices and have a bar where an octogenarian named "Mom" serves both drinks and sass, but namely drinks. Maybe you worked late, maybe you partied early, maybe you’re watching a Discovery Channel show about the migration habits salmon around midnight. Whatever the case, Umi is there for you. Go ahead and let your beer-brain do all the ordering because, oh, did we mention it's happy hour from 11pm to 1am? That's right: good, cheap sushi, in the middle of the night. It doesn't matter if it's actually in your neighborhood or not, it's the best. It’s the kind of place where you pop in on a weeknight for a few quick bites, or where you get takeout to shove down your maw while you watch Game of Thrones, or where you even put on pants and go on a Friday night omakase blowout bender. 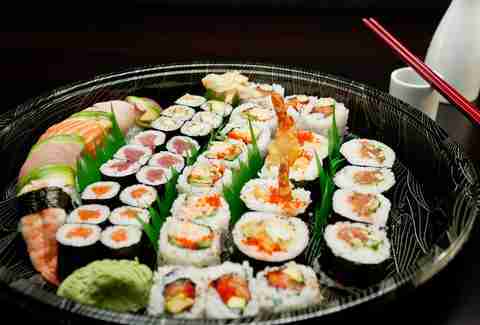 Should you ever need to bring a giant platter of sushi somewhere... like, oh I don’t know, to your apartment whilst binge watching House of Cards, give these guys a call. Within an hour, they'll have a variety tray of presidential proportions delivered to you that’s full of fantastic fish. Should we be weirded out that our fair city has a surprising number of strong contenders for this category? Or, perhaps, proud that we are a city that understands just how well a bourbon might go with a bite of tuna? In either case, Liberty manages to weave both cocktails and raw fish (as well as espresso) seamlessly into a place we'd like to hang out all day, every day, all the time. Please stop kicking us out. You can't see it from the street, but if you slip past the pastry case, past the two tables inside and the minuscule kitchen, there’s a hidden gem: a back patio that basks in mid-day sun. This tiny but cute operation isn't doing anything too daring, but the small assortment of sushi makes a perfect mini-meal or side dish to the menus more substantive options... or maybe just a slice of tiramisu cheesecake. 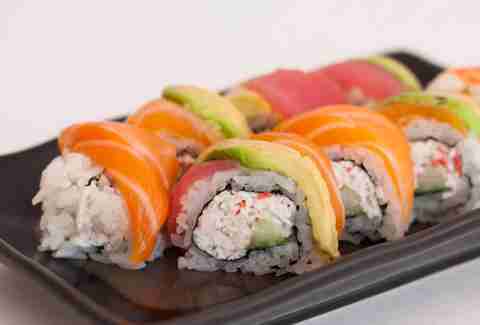 Naomi Tomky doesn't want to hear your crap if you don't like uni -- it's still the best sushi. Find her on Twitter @Gastrognome and Instagram @the_gastrognome.